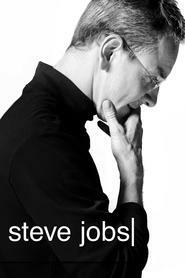 Overview... co-founder of Apple Inc. who’s been left behind in Steve Jobs’ rise to cultural icon. Jobs had the grand vision, but Wozniak wrote the code and developed the hardware that Apple computers were built on. When Jobs unveils the Macintosh in 1984, Wozniak just wants Steve to acknowledge the work of the Apple II team, whose work kept the company alive while Jobs worked on the Macintosh. Jobs refuses, leading to a decades long rift in their relationship. Personality... easy-going, brilliant, and socially uncomfortable. Woz was most comfortable in the garage where he and Jobs created their first computer. He’s at home with other engineers, so when the other Steve’s vision for the company gets larger and larger, Wozniak gets left behind. That’s why he feels so strongly that the Apple II team should be acknowledged. He knows they put in the hard work necessary for Jobs to be standing on that presentation stage. And he knows without Jobs acknowledging them, he’ll get all the credit. Steve Wozniak's popularity ranking on CharacTour is #3881 out of 5,000+ characters. See our top-ranked characters and read their profiles.